From Air Force major to first-tier Avenger, Carol Danvers, codename Captain Marvel, has had an impressive career as a super heroine. Imbued with the cosmic power of the Kree, Danvers is nigh invulnerable in battle. Fly high with Captain Marvel, as you check out our must-read moments! 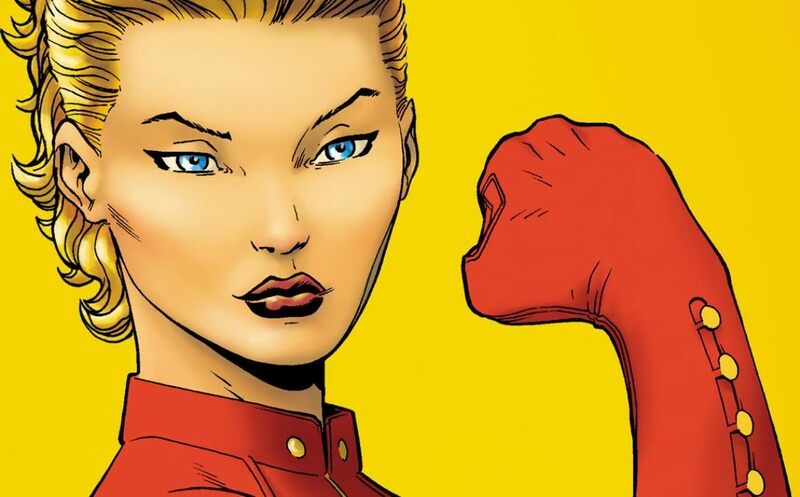 Captain Marvel has had several super hero codenames, but she was known first as Ms. Marvel! Here, Ms. Marvel takes her first flight! Meet Carol Danvers, and discover the origin of her super hero transformation. Carol gets a bid to join the Avengers, but worries how the offer will impact her civilian life. Ms. Marvel thrown into action against the Absorbing Man! Introducing Ms. Marvel as Binary! During a deep-space mission with the X-Men, Carol undergoes a cosmic transformation. What galactic forces have led to these newfound abilities? Will Ms. Marvel be able to control her star-like powers? During her stint as an Avenger in the late 90's, Ms. Marvel changed her codename to Warbird to reflect her military past. Warbird gets romanced by Scarlet Centurion, a descendant of Kang. But are the Centurion's actions based on ulterior motives? Warbird vs. the wolves of cosmic villain Plodex! Ms. Marvel puts her military training to the test when she becomes co-leader to a new Avengers team! Will Ms. Marvel, alongside Iron Man, be able to assemble her Avengers? In their first mission, the Avengers go head-to-head with mutated creatures on the streets of New York. Ms. Marvel stars in the first issue of her 2006 ongoing. After renouncing her codename Warbird, Ms. Marvel struggles to create a new public image. Will Carol's friend Spider-Woman be the sounding board she needs? Ms. Marvel reflects on her past, in order to embrace her future. A showdown for the ages! Ms. Marvel takes on Rogue, the mutant responsible for nearly robbing her of life. But is the Ms. Marvel who attacks Rogue the same woman who made peace with her many years ago? Two Carol Danvers leads to one big mystery! Dark Reign tie-in! Dark Ms. Marvel, a.k.a. Moonstone, finds that being a hero is harder than expected. Carol Danvers continues to struggle with her civilian identity. Will Carol be able to reclaim her rightful place as Ms. Marvel? Ms. Marvel joins the next wave of Avengers! Tony Stark hands the keys to Avengers Mansion over to Luke Cage. Before the team can settle into their new digs, Doctor Strange arrives with a mystical threat hot on his trail. Ms. Marvel in action as you've never seen her before! Ms. Marvel leads her team straight into conflict with Doctor Doom. Is the leader of the Avengers fully equipped for her most challenging mission yet? Earth's Mightiest Heroes invade Latveria in the name of humanity! The first part to Enemy Within, the four issue story arc starring Captain Marvel! Carol faces a personal crisis when her beloved Grandma Rose goes missing. Watch Captain Marvel and Spider-Woman team-up to track down those responsible. But can it be the foes Carol faces are from within her mind? Carol takes on another super hero moniker, when she adopts the title Captain Marvel. Fan-favorite writer Kelly Sue DeConnick brings you a Carol Danvers that's half space-adventurer, half earth-bound hero, and all parts Marvelous. Introducing Ms. Marvel as Binary! During a deep-space mission with the X-Men, Carol undergoes a cosmic transformation. What galactic forces have led to these newfound abilities? During her stint as an Avenger in the late 90's, Ms. Marvel changed her codename to Warbird to reflect her military past. Warbird gets romanced by Scarlet Centurion, a descendant of Kang. But are the Centurion's actions based on ulterior motives? A showdown for the ages! Ms. Marvel takes on Rogue, the mutant responsible for nearly killing her. But is the Ms. Marvel who attacks Rogue the same woman who made peace with her many years ago? Two Carol Danvers leads to one big mystery! Ms. Marvel joins the next wave of Avengers! Tony Stark hands the keys to Avengers Mansion over to Luke Cage. Before the team can settle into their new digs, Doctor Strange arrives with a mystical threat hot on his trail. Ms. Marvel leads her team straight into conflict with Doctor Doom. Is the leader of the Avengers fully equipped for her most challenging mission yet? Earth's Mightiest Heroes invade Latveria!